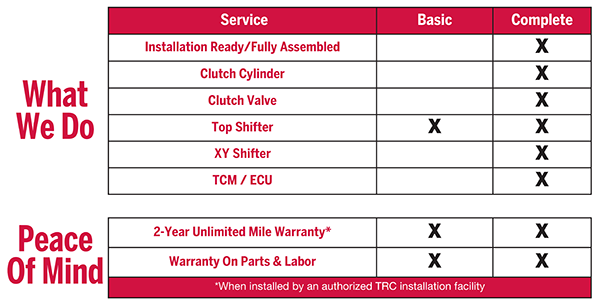 AMTs Maximize Fuel Economy and Driver Comfort. 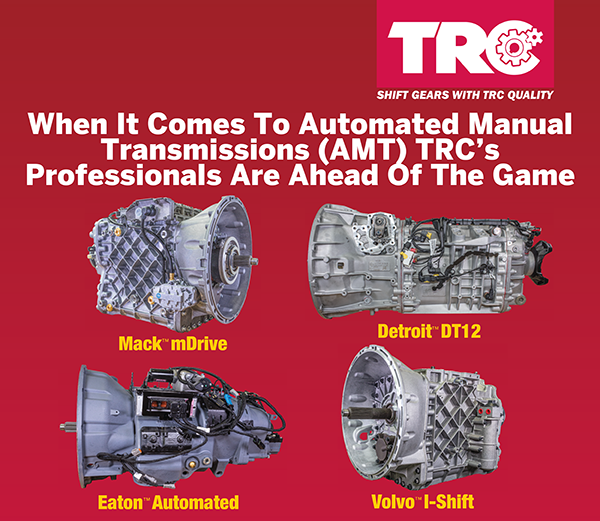 TRC Increases Longevity Of Your Initial Investment By Offering Remanufactured Solutions. Not just rebuilt, they're remanufactured. All units are completely disassembled and cleaned. All parts and components receive stringent inspection. All parts measured to OEM specifications of quality. Latest engineering updated high range drum, range clutch, engaging ring and synchronizer ring. All critical components and "high wear" items are replaced. Carry up to a two-year warranty and include 100% replacement of bearings, seals, gaskets and speed sensor. 100% dynamometer tested to ensure quality, efficiency, uptime and minimize the impact to your bottom line.